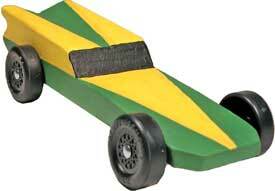 Pinewood designs that make it easy to build a good looking pinewood derby car. 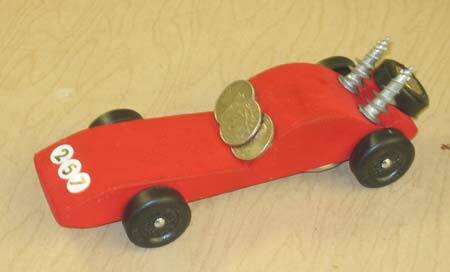 Taper the front of your Pinewood Derby car up slightly. This will prevent the front of the car from scraping the track when the car moves from the ramp to the horizontal section of the track. Your pinewood derby car block should be as square as possible before you begin cutting it. Place each surface of the block on a flat surface and try to rock the block by pushing down on a corner. If it rocks, the block is not square should be discarded. When sanding your car block, sand in the same direction of the wood grain for a smoother finish. 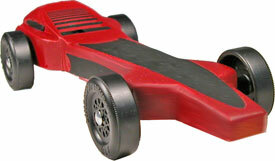 The designs on this page will make cutting your pinewood derby car much easier. If your don't have time to cut your own car, we have a wide variety of pre-cut cars that are all BSA legal. These cars were designed so that only straight cuts are used. 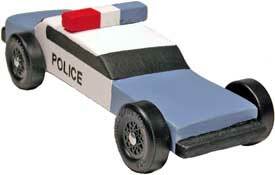 This means that you can use any wood saw - these Pinewood cars are easy to make! 1. Check the boxes under each of the above items that you would like to order. 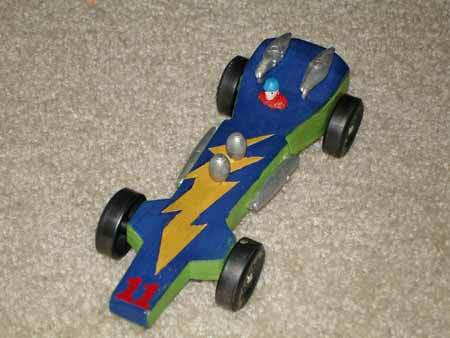 I ordered the starfighter pinewood design from you for my son, Ethan's 2011 pinewood derby. I would like to say thank you very much for such a fast design. We not only won the pack race but won the entire district and then went to win the grand prix. 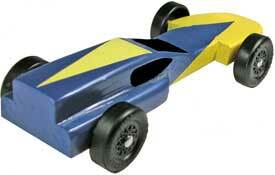 This is a great design and myself and son had great fun building the car. 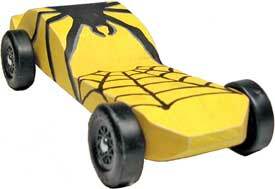 This Spider car uses unique weighting. The spare tire adds an extra flair to the design. 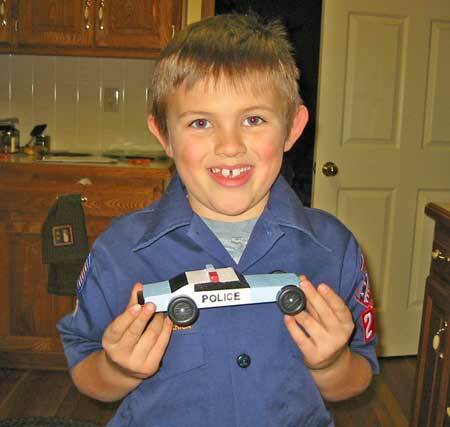 I just wanted to tell you what a great and simple pinewood derby plan the police car is. We downloaded the plan Tuesday night and finished the car last night. Just in time for tonight's race. Wish us luck. Attached is a picture of the final product (which we are very proud of). Thanks, Gerard Casey Jr. Thanks for the plans and axles. 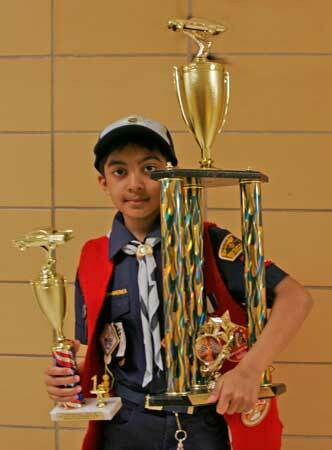 1st Place Weeblos II Division and 1st Place Overall Pack 648! We went from worst to first in only one year. 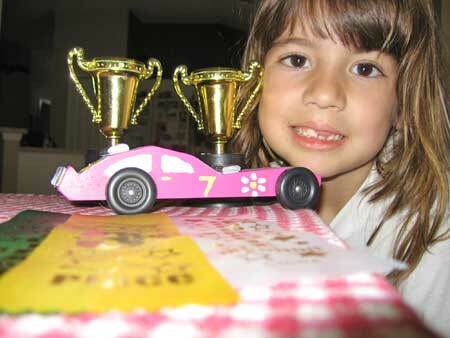 Your derby car designs were a great help. We slightly modified the Magnum Plans. It didn't lose a single run! Your pinewood designs were fantastic and simple for a first timer like me. Built by Larry R. and his son Ryan, a tiger in the Cub Scouts. 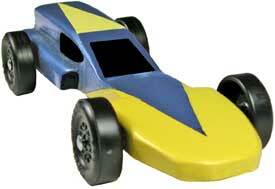 Although I have made several pinewood cars in the past, I had never used a design/template. 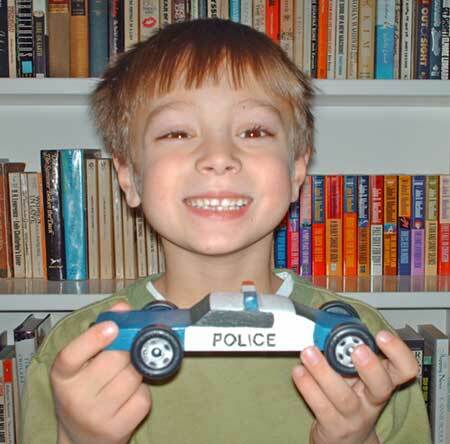 Togehter, my son and I searched for the right 'look', ordered one of your derby car designs, downloaded, printed and cut it out all within an hour or so! Now as for the sanding, that's another story!!! Thanks again, your web site and service was great! 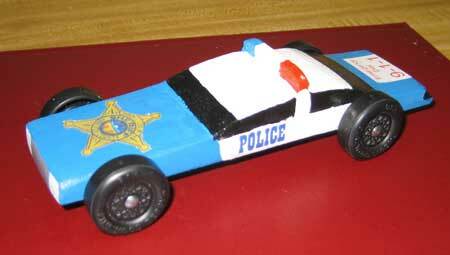 Our police car was awesome last year. It was fun, easy and the instructions were great. Wanted to say thank you for the plans and tips. 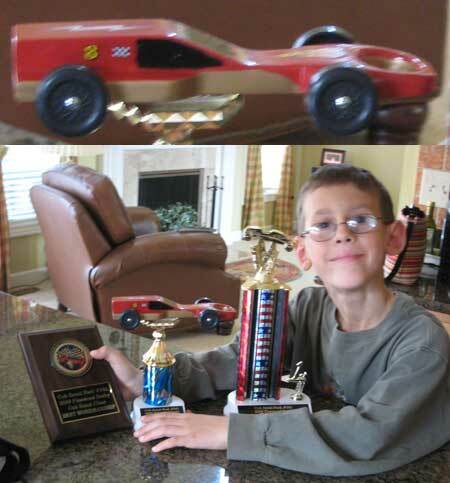 My son finished 2nd in his division, but more importantly, won the Best Design of Show for his modified Magnum derby car. Your plans were easy to use and the tips were outstanding for us first time racers. Looking forward to next year. -- John D.
Thank you so much for the wonderful design! 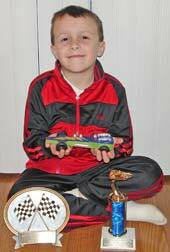 Nathan came in first place for speed in his pinewood cars age group and is now headed to districts. You made it so easy!